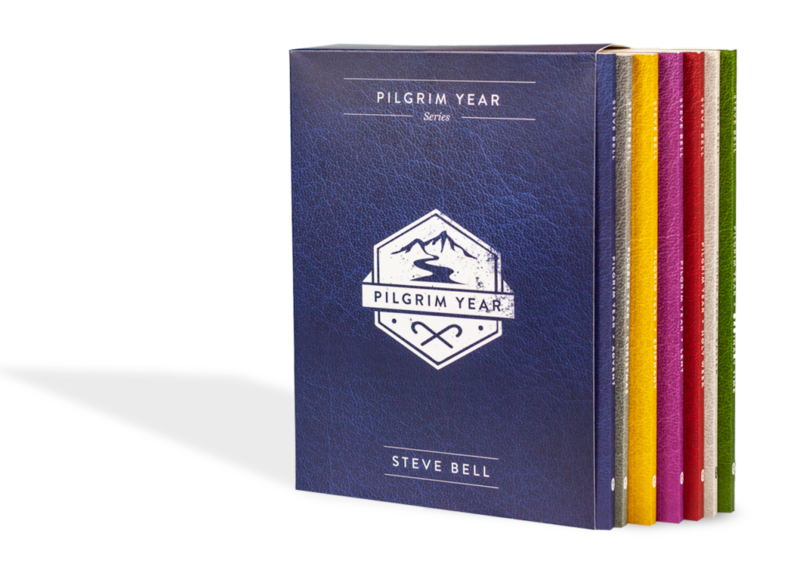 Journey through the mysteries of the Christian Year with the Pilgrim Year Book series. 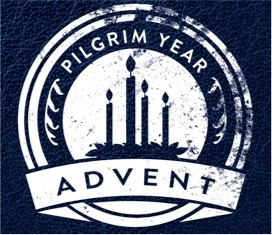 Each Monday, we will be posting an excerpt from Pilgrim year, Steve’s seven book series. For more information on the series, or to purchase individual books or the complete box set click here. He came with love to Bethlehem; He comes with grace into our souls; He will come with justice at the end of the world. Advent simply means,‘to come’ (Latin: advenire, from ad-‘to’ venire-‘come’). Christians have traditionally set aside this liturgical season to anticipate the coming of Christ. Advent is a season of attentive waiting. Of course, as with all waiting comes the inevitable agony of anticipation – so much so that we are inclined to want to do something to make the waiting itself bearable and meaningful. In this regard, Advent is an active season of mindful preparation as well. When a young couple discovers they are expecting a child, it is not enough for them to simply wait out the nine months and hope for the best. On the contrary, there is necessary preparation. Perhaps they clear out a spare room to create a nursery. Tough decisions are made about what stays and what has to go. They collect and purchase appropriate furnishings. They seek advice. They endlessly brood over a name; about the kind of birth experience they hope for; about the joy, fears, and future of this new reality. Such preparation is not meaningless. It’s about getting ready to fully receive the gift of the child who is coming. In Advent, what is the content of our waiting? How are we to prepare? What makes this time more than just a season to endure before the fun starts? How do we ready our lives to receive the gift of Christ fully and do so with meaning – with the deepest joy and reverential awe that we suspect ought to accompany such an astonishing event? When I started to attend to the Advent season, I was surprised at the themes present in the ancient writings. Traditionally, Advent was not the giddy season of festive parties and garish décor we have come to know. The more rooted Advent tradition was a preparation for the return of Christ, not a mere preparation for Christmas celebrations. Indeed, there was an element of festive joy, but it was also a sober season (almost Lent-ish) that began with sustained attention to our deepest longings and the assumptions, valid or vain, which those longings might indicate. It was a time of penitent reflection about the many inordinate attachments and affections we have given ourselves to – those ill-discerned commitments that prevent us from fully attaching to Christ. Advent was a season to reflect on the rich spiritual metaphor of motherhood, or spousal maternity, which reveals the deepest truth about the mystery of the human person: that we were created to receive and house heaven in our womb, and bear it forth for the sake of the world. The Christ child doesn’t merely come to us but through us. Advent was also a time to reflect on the ancient names of Christ – Emmanuel! Wisdom! Dayspring! Majestic Lord! Root! Key! Desire of the Nations! – as memorialized in the tradition of the O Antiphons (see Chapter 9). Finally, it was a time to reflect on the upside-down nature of this astonishing kingdom of God that is breaking in on our desperate history, as suggested by the ancient oracles of Isaiah (see Chapter 5). Upon reflection, one realizes that Advent is a robust and demanding spiritual season. Easy, triumphant declarations like “Jesus is the reason for the season!” or campaigns to “Keep Christ in Christmas” will not do. We are invited to much more than that. We are encouraged to attend deeply to the pulse of this season, to enter into it quietly, penitently, patiently, and expectantly, allowing it to penetrate and resound in the fecund depths of our souls. This series is a treasure! This is the most winsome newcomers’ intro I’ve seen to the church calendar, just as it is a refreshing breeze for veteran travellers of the Way.